The EDGA is pleased to announce the Hall of Fame Class of 2018. Ron is an EDGA record holder in many categories, none of which is more impressive than 8 major EDGA titles. He started this accomplishment by capturing both the Match Play and the Amateur in 2003. It was another 4 years before he claimed another title but in 2007 he claimed another major “double” winning both the Match Play and the Amateur. From the point on he became an unbeatable opponent in match play going on to capture Match Play titles in 2008, 2009, and 2010. His victory in 2010 surpassed the EDGA record of 6 major titles that was shared by Brett Kieffer, Dave Ciacchini, and Tom Amendola. He would advance to the semi-finals in 2011 before having his match play winning streak snapped at 23, also an EDGA record. He closed the book on his EDGA career when he captured the 2012 Amateur at Lake View. He started the final round in 5th place, 8 strokes behind Drew Deimel but his 6-under par 66 was enough to eclipse Deimel by 2 strokes. 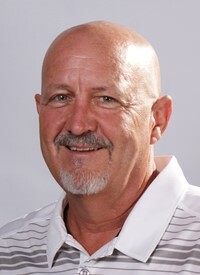 In addition to major victories, Ron also won the EDGA Mid-Am twice, in 2007 and 2008 as well as capturing 2 EDGA JC Martin Seniors titles, in 2008 and 2012. He is the only player to win the Match, Amateur and Mid-Am in the same year (2007). 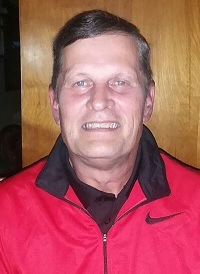 In 2008 he won the Match, the Mid-Am and the Seniors. His 12 EDGA individual titles is also a record. His dominance in the late 2000’s was not limited to EDGA play as he also won the WPGA Public Links in 2007, 2008, and 2009 and qualified for the USGA Public Links a second time in ’07. His resume includes 6 WPGA Palmer Cup Matches, 9 Club Championships (6 at Downing, 2 at Whispering Woods, and 1 at Lake View CC). Joe produced more than a decade of outstanding play in EDGA competition. Always revered as an outstanding putter, he demonstrated he was also on top of the rest of his game when he claimed his first EDGA title in the 1989 Match Play Championship at Lawrence Park with a 1-up victory over Gary Murray. Working hard on his game paid dividends as his next victory came just 3 years later when he captured the 1992 EDGA Amateur Championship at the Kahkwa Club. The following year he faced a triple dose of pressure; he was trying to become a repeat champion, he was trying to repeat at Lawrence Park, his home course and then there was the matter of his primary competition, 6-time EDGA champion Brett Kieffer. 54 holes would not be enough but Joe was able to upend Kieffer on the first hole of sudden death in what turned out to be a two—man battle. He had two close calls in the Amateur finishing runner up in both 1996 and 1999. In 2001 he again put himself in position for a title, this time in the Match Play. Even though a finalist, his task appeared daunting, not only because he was facing a Bob Paris, who was playing the best golf of his life but also because Bob had him 4 down with 7 holes to go. Joe chisled away at his lead and stood on the final tee with the match all square. Ultimately, he would stand over a 30-foot birdie putt on the 18th green which he admitted saying to himself, “I have to make this.” He did and in doing so captured his 4th EDGA title and denied Paris his first. Joe would again find himself in the finals the next year at Kahkwa but could not slow down a hot Dave Ciacchini on his home course. Joe plays at Lawrence Park where he has won 2 club championships (1989 and 1996), 2 senior club championships (2010-11) and has also served on their Board of Directors. He has 4 holes-in-one and a personal low score of 65. The EDGA is happy to welcome these two champion golfers into EDGA Hall of Fame which now has 48 members. Click here for 2018 Hall of Fame dinner details.